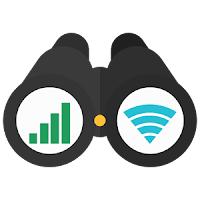 Signal Spy allows allows you to see pro signal strength and technology in real time. Signal Spy pro can also tell you what LTE band you're using on Sprint and T-Mobile so you can understand what speeds and features to expect. 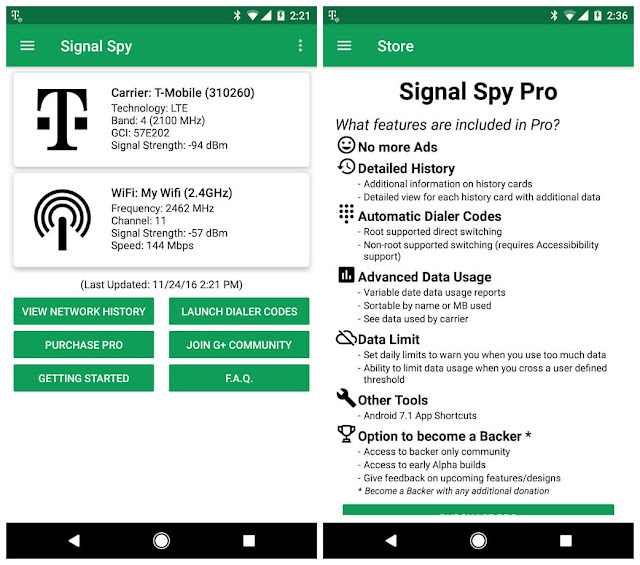 Signal Spy also keeps a history of all of your connections: when you connect and disconnect from WiFi, and what carrier you're using! Pro Users can now see a history of Wi-Fi and Cellular connectivity along with signal strength and location!